WARNING: In order to gush properly, there may be Final Fantasy X and Final Fantasy X-2 spoilers throughout the post. If you haven't played them and want to keep the gaming experience fresh and free of spoilers, please refrain from reading. Final Fantasy X (FF X) was my first Final Fantasy, and though it wasn’t my last, it is still my favorite. FF X was the first in the series to offer voice acting, it had stunning visuals for the time (gorgeous in HD), it effortlessly meshed eastern and western cultural elements, and it had thought-provoking philosophical and ethical questions. Even without all that, the Final Fantasy series is excellent with character development and character design. FF X is no exception. It has a cast of characters who are multi-layered, likable, and memorable. It even has fantastic leading ladies, and can you believe that not one of these gals are damsels in distress? It took a while for Lulu to actually open up, especially about her past, but when she did, we saw her true colors (besides black, that is). But even though she may look like a tough, tormented goth girl, she's really just as sweet and soft as cookie dough. In fact, she helped raise Yuna and treats her like a sister throughout the game. Yuna looks up to Lulu, and Yuna continues to consult her throughout FF X and FF X-2. Not to mention, Wakka and Lulu are so sweet together. Oh, and it's hilarious to see her interact with Tidus, especially when she later warms up to him and starts messing around. Anyway, she was one talented character. Thank goodness she used her black magic for good and not for evil. I always thought it was funny, though, that she conjured earth-shattering magic by channeling it through a cute and cuddly stuffed doll. Guess wands are for sissies. I remember Rikku speaking Al Bhed for the first time, and I absolutely loved it. The fantasy world seemed so big to my 16 year old brain. I also recall learning a few phrases of Al Bhed and speaking it to a friend of mine in high school. Rikku has way too much energy. She's always moving, grooving, and talking (a mile a minute, I might add). That’s why it was amusing to see Tidus (who is upbeat and lively) interact with Rikku. It was especially entertaining to hear what they both had to say in battle. 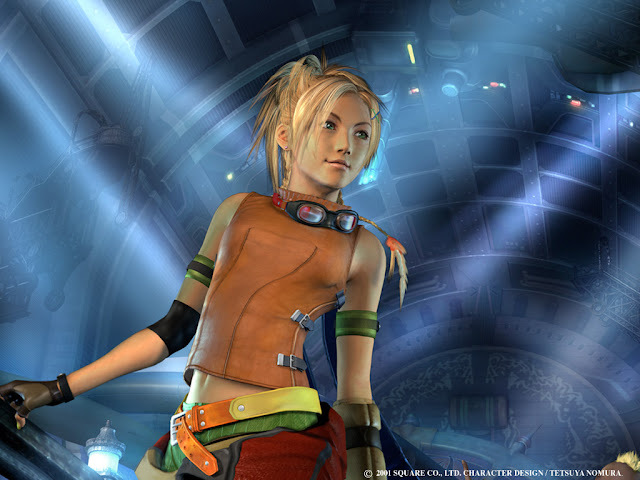 With her endless energy, Rikku also has a sunny disposition throughout most of the game. 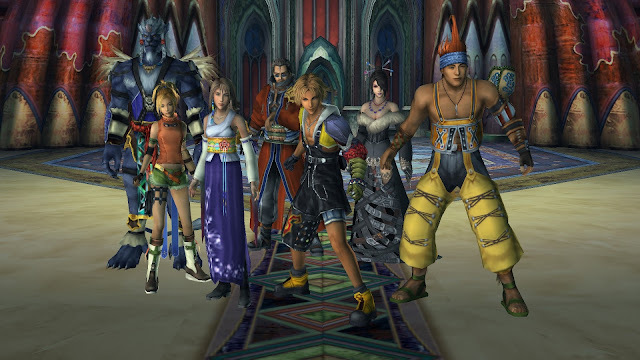 Final Fantasy X (and at times, Final Fantasy X-2) is depressing. Like...extremely depressing. The player questions whether or not all the characters will survive, questions how he/she is going to defeat Seymour for the fifteenth time, and heck, the player even questions his/her own existence. But Rikku (and Tidus) makes Yuna’s pilgrimage (and the game) cheery and hopeful, which is sorely needed since all the other guardians seem to be serious and dutiful. Yuna HAD to have someone liven things up a bit. Just *ahem* don’t tell Rikku about any thunderstorms. At last! My favorite Final Fantasy character. Out of all the other characters, Yuna is the one who changes the most drastically throughout the games. She goes from a quiet, sweet, and passive girl to a more rebellious, strong-willed, and independent young lady. At the start of her pilgrimage, Tidus and the player don't realize that Yuna’s quest is supposed to end with her sacrificing herself for the good of Spira. That's right...sacrifice. She needs to die to end Sin. She's willing to lay down her life so that Spira can enjoy two years of peace (I know, not even an everlasting peace). Even knowing that she must die, she continues on her journey. It gets more difficult when she realizes she’s falling for Tidus. Of course, Tidus convinces her that there must be another away and that he’ll find it...for her. She continues on though, still hoping to defeat Sin and end its spiral of death. 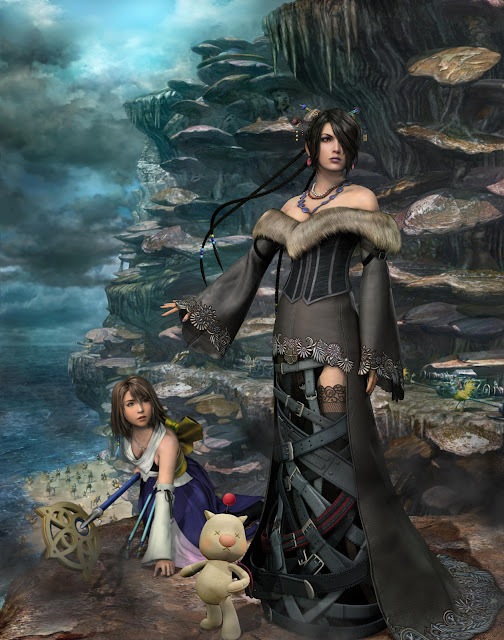 She’s also strong-willed and persistent in FF X-2 when she finds a sphere of Tidus (He’s alive?!) and decides to go in search of him. After each trial and tribulation, Yuna continues, all for the sake of finding him. We see this a bit in FF X when Yuna decides to stray from her summoner path after falling in love with Tidus and is convinced that they should try to defeat Sin a different way. The alternative is to kill Yevon, a being (really, a summoner from years ago) that Spira has been worshiping like a god for a thousand years. And they defeat him. Yup, Yuna and her band of guardians take down Sin and a god (ahem, crazed summoner). Then, in X-2 Yuna breaks out of her shell and develops more pluck. 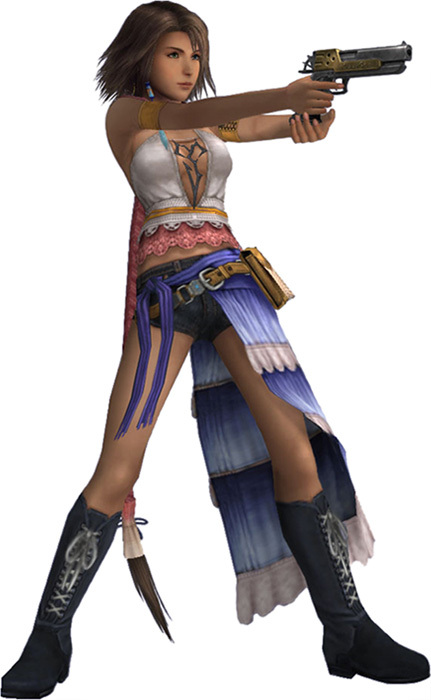 Besides her wardrobe change (actually, the entire game features the Gullwings in various outfits), Yuna becomes the leader of her sphere hunting group, makes major political decisions, and becomes a performer. She isn't the sweet, goody-two-shoes any more. She now has sass and flare. It must come with being a pop star, or a Square Enix "Charlie’s Angel", or maybe she’s just had it in her the whole time. 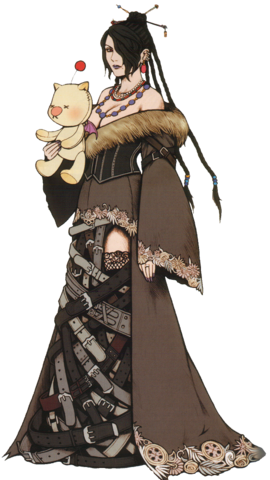 Do you have a favorite Final Fantasy girl? Favorite video game gal in general?